Against all odds and despite significant challenges and scarce resources, Niger's Armed Forces (FAN) continues to lead a successful casualty evacuation (CASEVAC) program. This program and the Special Operations Command Africa (SOCAFR) model that influenced it has become a template for the Global Health Engagement (GHE)/International Health Specialist (IHS) community. 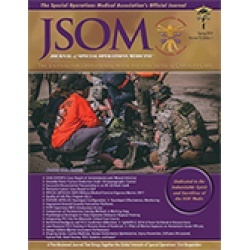 This article provides a summary of the overall CASEVAC mission, outlines the final phase sustainable execution of this program, and provides the reader with critical lessons learned for best practice GHE approaches.